Passport Health of Sarasota is pleased to announce that its Medical Director has been designated as a Civil Surgeon by the United States Citizenship and Immigration Service (USCIS). With this designation, Passport Health of Sarasota can now perform Immigration Physicals for immigrants to the United States who are seeking to adjust their status to permanent residence (“green card applicants”). Immigration Physicals are performed most days of the week. Passport Health of Sarasota has the ability to provide the required physical examination, tests for immune defenses and exposure Tuberculosis and other communicable disease of public health significance. Passport Health also is equipped to provide all vaccinations required by the USCIS. The Immigration Physical is a two-step process. On the first visit; the immigrant must provide basic information and sign a required immigration form. If available, the immigrant has an opportunity to present his or her vaccine history. A physical examination and mental evaluation will be performed and the immigrant will be asked questions about his or her health and immunization status. Based on the results of the exam and the health and vaccine history, Passport Health of Sarasota may recommend testing for immune defenses. It will also perform necessary blood and skin tests. The immigrant will return to Passport Health of Sarasota two days later for interpretation of any tests performed during the first visit. At that time, the immigrant will be advised of the need for any vaccines required by the USCIS. Passport Health of Sarasota carries a complete stock of vaccines and has the ability to administer vaccines the same day. Upon completion of all requirements for the USCIS physical exam, the immigrant will be given the completed and signed I-693 immigration form. This form will be provided in a sealed envelope that must not be opened by the immigrant. The sealed envelope must be provided to the USCIS as part of the adjustment of status application. For additional information or to schedule an appointment, please visit our website at www.PassportHealthSarasota.com or call Passport Health of Sarasota at (941) 362-0304. Our law firm web designer, Edelsbacher Design Group, has created a new business opportunity for prospective investors. 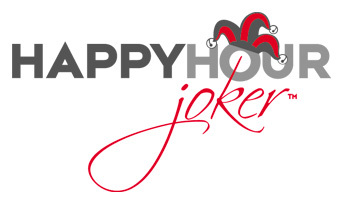 It has created a new company called Happy Hour Joker and is selling licenses to operate Happy Hour Joker businesses in more than 200 cities across the U.S. The investor buys a three-year license to operate a Happy Hour Joker (HHJ) business in one or more cities. The license fee will vary depending on the city, but generally will be in the range of $100,000. The license fee includes most of the costs necessary to open the business including a city-specific HHJ website, software infrastructure for managing sales, event scheduling and other administrative functions; marketing materials, owner training and a sales kit. The city-specific HHJ website promotes restaurants, bars and special events in the particular city, sells banner advertising and sells wallet-size discount cards to the public for $35 apiece per year. Cardholders are entitled to expanded “happy hour” food and beverage discounts offered by participating restaurants and bars as well as birthday gifts and other benefits and event invitations. The licensee (the investor) creates a sales force for the city. The sales force is responsible for signing up participating restaurants and bars, coordinating the sale of discount cards to the public in the city, and overseeing promotional efforts to drive traffic to the city’s Happy Hour Joker website. For its efforts, the licensee (the investor) earns $13 for every Happy Hour Joker card that is sold. The remainder goes to card production and to the licensor. With 20,000 cards sold, the licensee could earn $260,000 in gross fees. Click here for a look at the business plan.